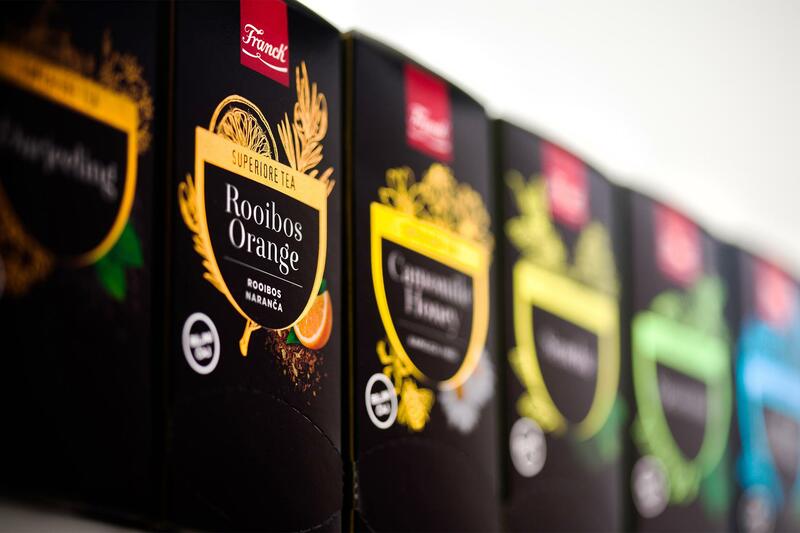 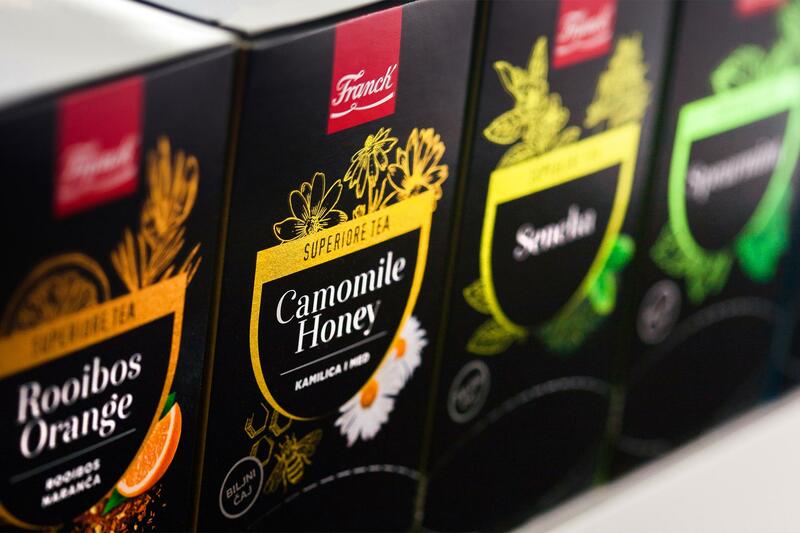 To devise a design for superior quality teas to help Franck take the tradition of drinking Franck teas in cafés to a whole new level. 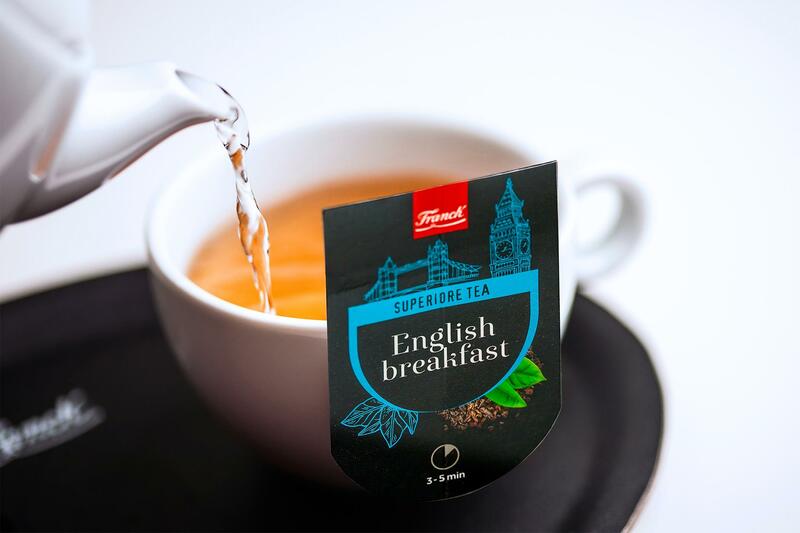 The uniqueness of every cup of tea, and of the very ritual of making tea, had to be reflected in the design of the label. 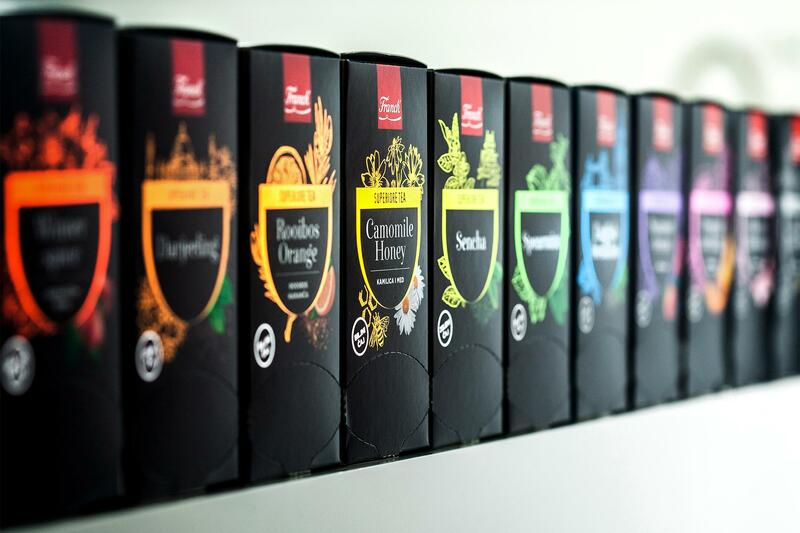 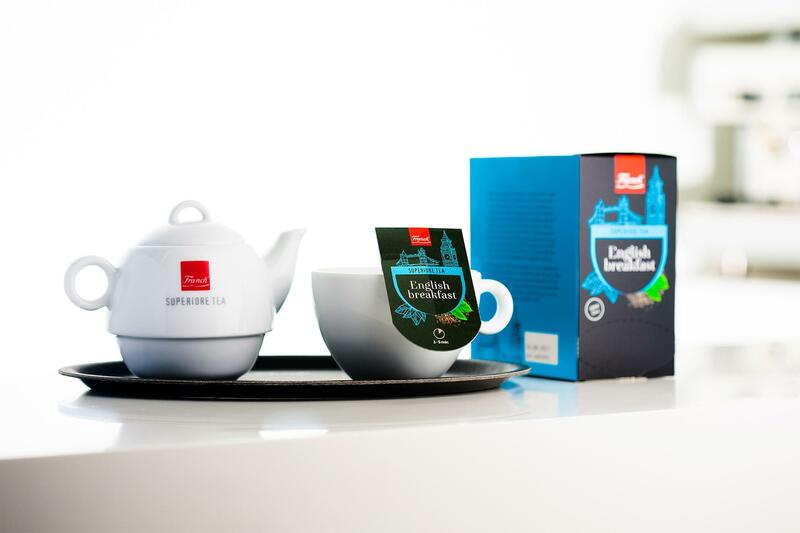 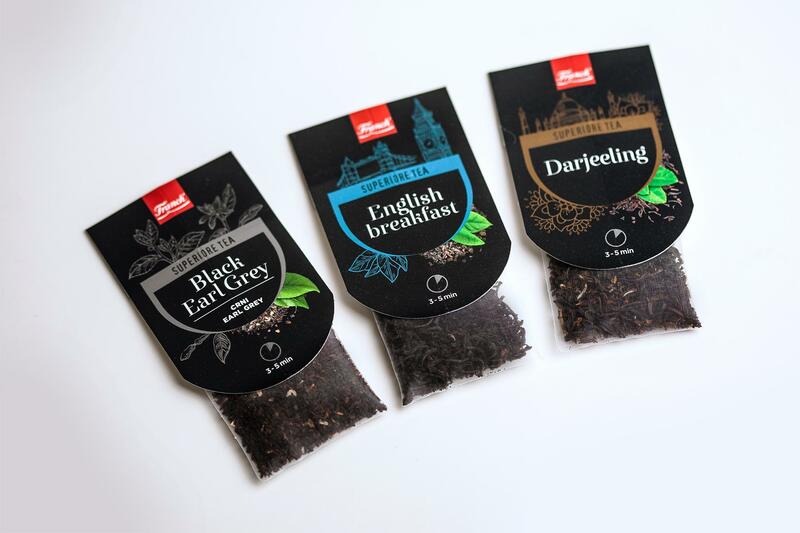 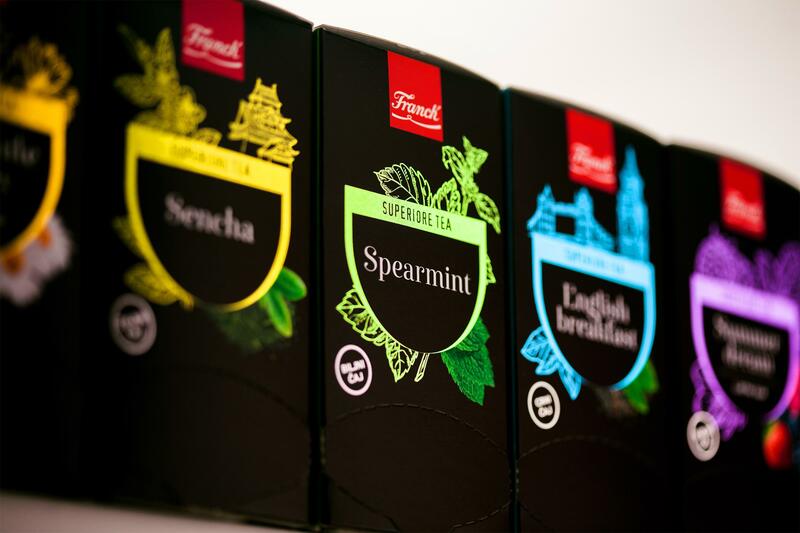 Every element in the pack, from tea bag holder to tea bag box, has its functional purpose and reflects the qualities that make this brand of teas different – the elegance, refinement and exclusivity. 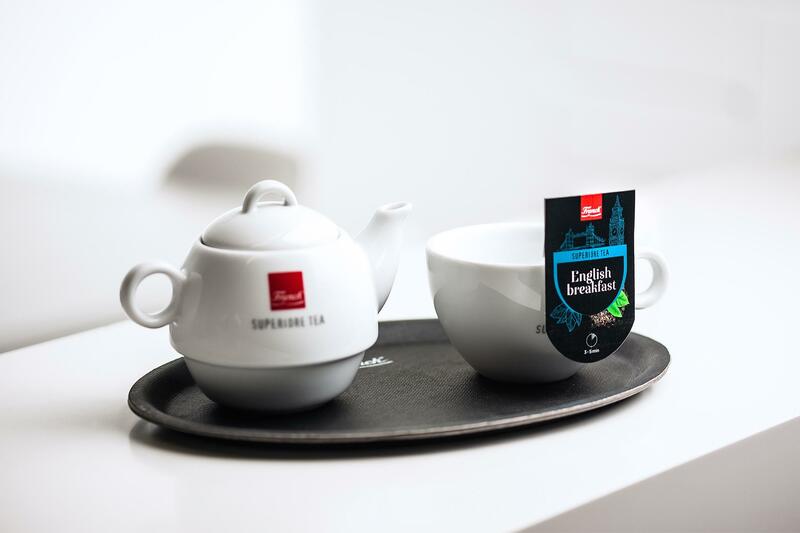 The dark background, the simple lines and the careful colouring form a well-balanced whole, which lets those who enjoy tea know that they no longer have to pursue their quest for perfect pleasure – Franck Superiore gives everyone their perfect cup of tea.